Did you know Pinterest is a great place to find resources on blogging? Some of the best articles I read are articles I found on Pinterest. Learning about blogging is a lot of work and takes a lot of time. You can google specific topics, but you miss out on some of the best advice from real bloggers who blog more than just about blogging. Learning how to blog and improve your blogging methods is an on-going process, and it's really easy to follow some Pinterest boards on the topic and let the pins sporadically appear and choose titles that suit your fancy for that moment. Here are some of the best boards for blogging and all things blogging. Of course I'm going to put myself on the top of the list, but I do pin a lot of blogging related articles. Most of them, I do read before repinning, so you know it's not useless. For once, I act as a filter. I also have other boards for things like graphic inspiration, inspirational quotes, and I'm trying to focus on blogging, art, business, and lifestyle blogs (I love sharing blogs I read). One of the most popular and most informative voices on the web is Neil Patel. His Pinterest, of course, is geared to all things related to blogging. CoSchedule is a company like Buffer who helps people schedule social media posts for a monthly fee. I highly suggest following them on social media and signing up for their emails. They have some of the best articles on social media. As of now, they only have 5 boards, but it isn't quantity that we need. It's quality we are looking for. Tailwind is a company that helps you schedule Pinterest posts and Instagram Postings. 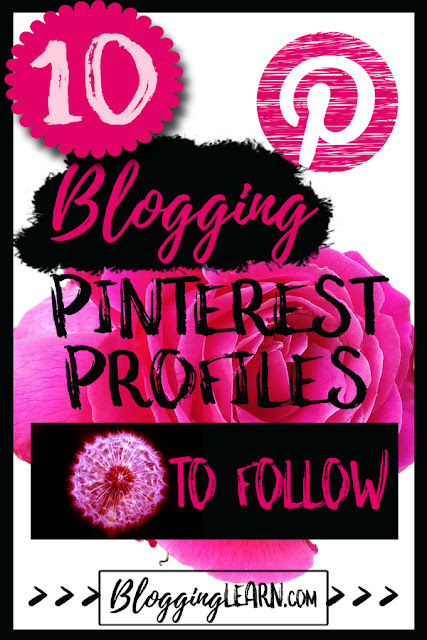 Their Pinterest is a great place for resources on many aspects of blogging and Pinterest. Other board topics include Pinterest, Social Media, and SEO. Susan is one of the best providers of information to get published on other sites, which brings more traffic to your blog and possibly an extra income. She has quite a few other boards on blogging, freelance writing, and writing. She has so much on blogging and owning your own business on her Pinterest, and most of them are in lady like Pinteresty colors. She has many more blogging boards and blogging community boards. While focusing on Pinterest and using Pinterest to your advantage, she has many other boards for social media and women in business. She also has a board for every social media and some general business boards such as branding, email and blog tips. Everything blogging and nerd, in pink. Her primary focus is on increasing blog traffic. Other boards include small business, organization, blogging and inspiration. She has oodles of blogging boards and pins frequently. She has a board for each social media outlet, female entrepreneurship, and more. One of the best websites to find Vintage art free to use is The Graphics Fairy. As a graphic designer, she cleans up the images and provides them for free. Her Pinterest also features a lot of DIY, crafting and decorating. So that was 10 people, but now that I've had to update this post, I want to link to 2 others I highly suggest. She focuses on everything you need to start selling courses that focus on collaboration as opposed to a boring tutorial. But she also has mad ideas on using Facebook Advertising, creating a list, creating landing pages, and using Pinterest. 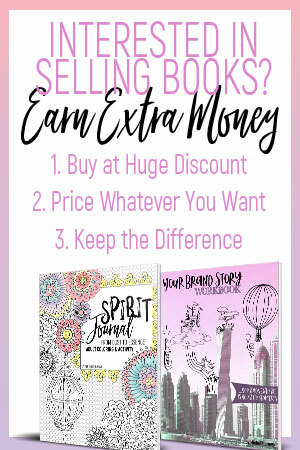 She focuses on growing your blog, and all the things you can do to help you grow. Pinterest is a great place for resources beyond DIY perfect motherhood. Most bloggers who blog on blogging, especially those with a female demographic, have some sort of Pinterest profile to promote their posts, and the information they share is often priceless and sometimes necessary. Men, don't be afraid of the girlyness of these posts. The information is even helpful for you.